This post brought to you by Genesis Bows. The content and opinions expressed below are that of My Mommy Style. I know as mothers we worry about what toys and hobbies our kids get into. We want our kids to have fun, to learn and above all, we want them to be safe. So maybe when you hear about your family getting into archery or owning your own bow, you shy away because you feel like it isn’t a safe choice for your family. I want to point our reasons why owning a bow and arrow set is actually safe and so much fun for your family. Archery is statistically one of the safest sports in the world. Archery is more than three times safer than golf! There are rules in every sport and archery is no exception, but the awesome thing is the rules for archery are simple and easy to understand. You can find the rules here, but basically, there is a line for the archer to shoot from, there is a waiting line for everyone else that is waiting for their turn and there is a target line. The other suggestion is to have the archer carefully look behind them before pulling each arrow. Check out Genesis Archery on YouTube for tips. Your kids may already be interacting with Genesis Bows at their schools. The Genesis Original is the official bow of the National Archery in the Schools Program (NASP®), and is used in over 13,000 schools by over 2 million youth across the U.S. each year. Since the organization was founded in 2002, NASP has made the sport of archery fun, engaging, and extremely safe and has maintained a zero archery-related injury record. 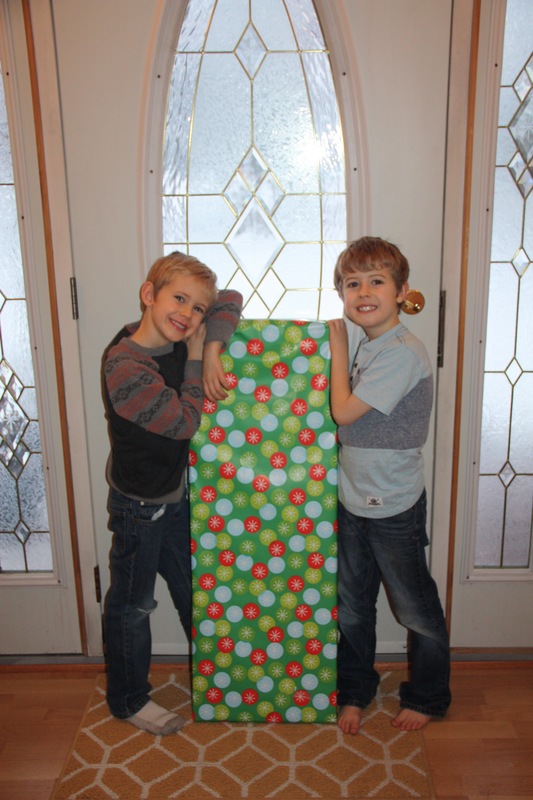 I recently was able to give my boys an early Christmas present of their very own Genesis bow and arrow kit and target. They were delighted to get an early present and I could tell the gift was a winner because they were immediately ready to head out into the snow to try it out. They were jumping and shouting with excitement and couldn’t believe it was all theirs. The cool part of the bow is they can even enjoy it in the snow. It was a little cold, but taking turns gave them the chance to warm their hands before their next turn. When we moved to Alaska we heard over and over again if you want to enjoy the winter then you need to get outside. I love that my boys have something they can take outside to our front yard to enjoy the world around them even in the winter. 1. Archery is a great family activity! Genesis bows have a draw length of 15” to 30” so everyone in the family can shoot the same bow. My 6 and 8 year old boys and 30 something year old husband all had fun using the same bow. Whether you’re channeling your inner Legolas, Hawkeye or Katniss, you will feel powerful and awesome learning how to use your bow like your favorite hero. Archery is a social sport that people of any age or athletic ability can enjoy. 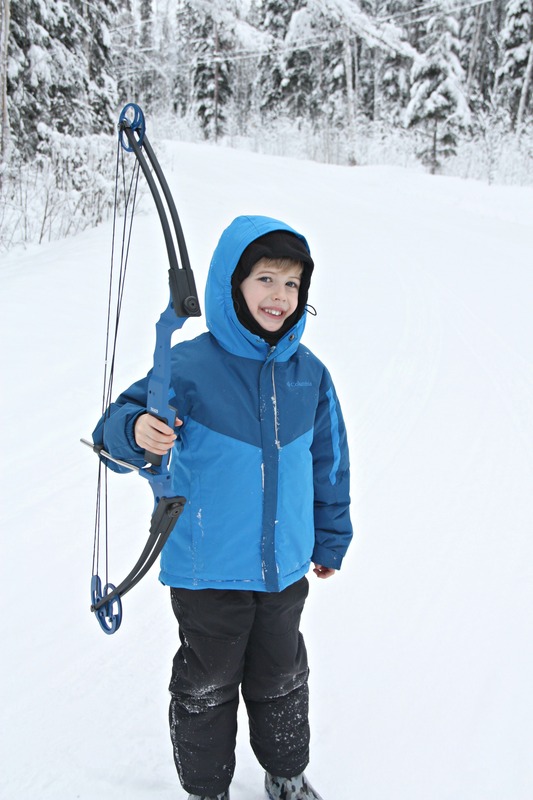 Whether you are 5 or 90 archery is a great sport for you. These are things that will help your child in other aspects of their life. I mentioned above that I love that archery helps my kids get out in the winter, but it also gives them a chance to be surrounded by the beautiful world around them. We live in a beautiful place so any chance we can to get out and enjoy and appreciate that, we’ll take it! Children can’t outgrow their Genesis bows because there is no specific draw length. How many gifts have you given to your kids knowing they would last that long!? Other toys break or your kids grow and lose interest. The investment into a quality bow like Genesis is great because you know that it will not only last years and years, but your kids will still enjoy using it for years and years. Admittedly, my boys are beginner archers and they are still learning, but that doesn’t diminish the thrill of pulling an arrow back and watching it fly. It’s been fun to watch how much better they’re getting each time they use it. Make some goals and watch how proud your kids will be when they get better and better. Getting better at archery will build their confidence. Confidence helps you conquer the world and makes you more willing to try knew things and accomplish tasks given to you. Building confidence in our children is so important. Archery is not about hunting and weaponry. It is a hobby categorized with bowling, badminton and table tennis. Follow the rules and archery is one of the safest sports in the world. Simply put, it is FUN! Your kids won’t realize they’re building confidence or that it’s a great physical activity or hand-eye coordination (you will know all those things), all your kid knows is that they are having so much fun! The Genesis bow is also 100% customizable! Make sure and check out Genesis Build-a-Bow, they have a ton of fun color choices to make your bow unique. Also, the Genesis Original, Mini and Gen-X are available in convenient kits to make gift giving easy. Now comes the fun part! One of you can WIN a bow and arrow set from Genesis to give to someone on your Christmas list this year.